The current standoff in our property market is quite bizarre. On the one hand we have increasing demand for housing in our major cities created by record population growth and on the other hand, buyer demand in them has slumped. Let me share the story of the farmer the fox with you, to shed some light on what could be going on. A farmer captured a fox that had been taking his chickens. 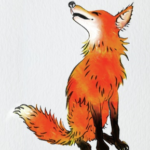 To teach the fox a lesson, the farmer tied some dry grass to the fox’s tail and set it alight, then let the fox go. But the fox ran straight into the farmer’s wheat field, which was ready for harvesting and as the burning grass fell off his tail, it set fire to the farmer’s crop and destroyed it. The moral of this fable is to be careful with acts of revenge as they can often backfire. We can easily refashion the story. The government decided to punish the big banks for the way that they treated customers, so it held a Royal Commission into their bad behaviour to teach them a big lesson. But instead, the banks responded by slashing housing finance so much that the whole economy was threatened with a recession, to teach the government an even bigger lesson. Now I don’t think that the banks want to send the economy into recession, but they obviously want to make a point about their power and importance. So, just like the fox, they are sending a strong message to the government to leave them alone.